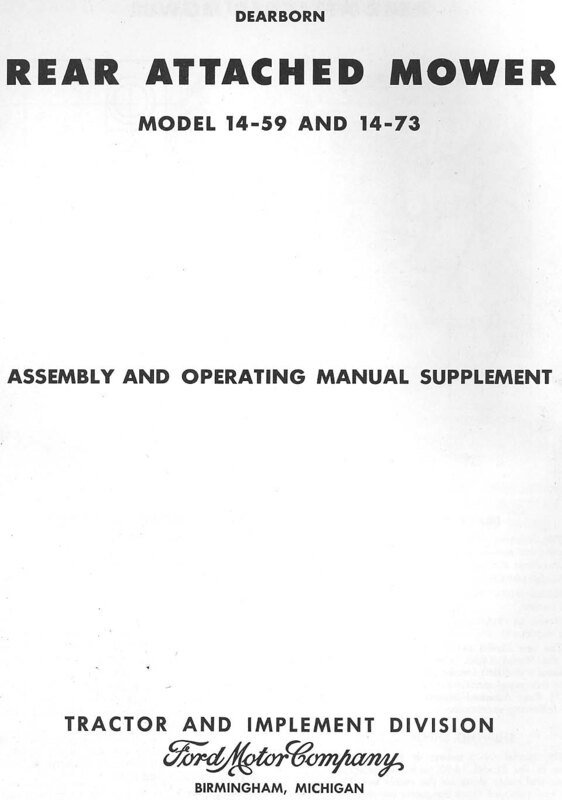 Tony(VA) donated this supplement to the Assembly and Operating Instructions manuals for the Dearborn rear-mounted 14-59 & 14-73 sickle mowers. 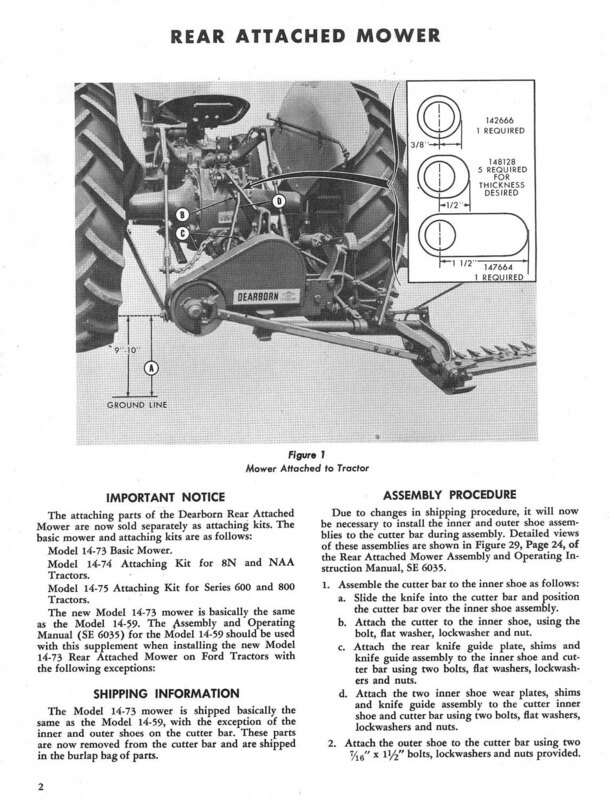 After the 14-73 was introduced, the mowers did not come with attaching kits. 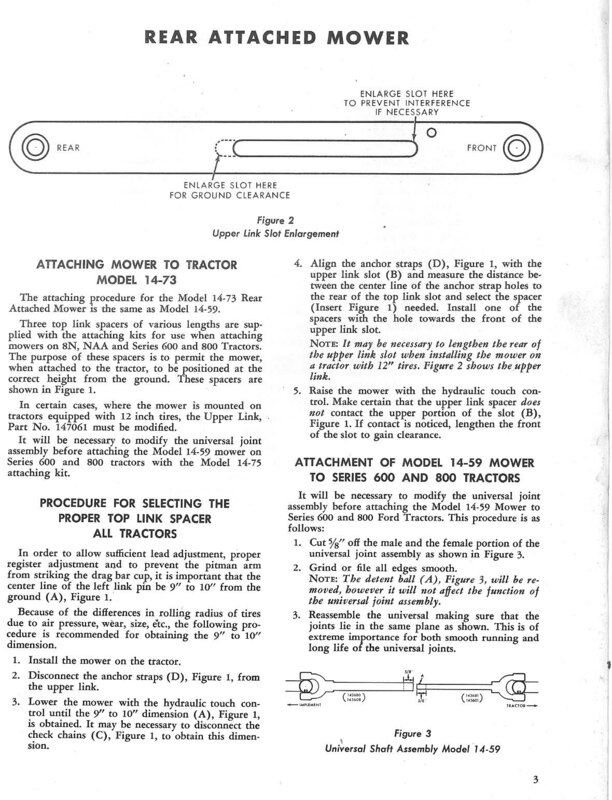 One had to order the attaching kit separately, depending on whether you were attaching the moser to a 8N/NAA or 600/800 tractor. I just purchased a Dearborn Model 14-16 rear mount sickle mower. However, I did not get the mounting Anchor Bracket assemblys. Do you know where I can pick a pair up?